Do you want to make a positive lasting impact on the environment in Cuyahoga Valley National Park? 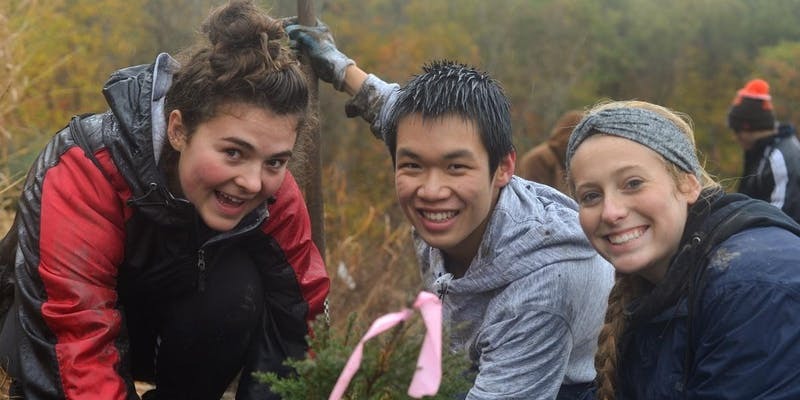 Join your fellow volunteers in celebrating Make A Difference Day on October 27 by planting native trees! Invite your friends, family, and coworkers to help preserve CVNP for future generations. Kids are welcome! By planting trees, you are restoring the natural habitat of your national park and benefitting both the environment and your community. You will use shovels to dig holes for native trees, hammer in stakes beside newly planted trees, and cover trees with deer tubes for protection. This project helps to fill in the tree canopy, creating less fragmented habitat for wildlife. Native Tree Planting rates as a moderate to strenuous physical activity and requires the ability to hike 2 miles over uneven terrain. Volunteers who are 7-15 years of age must have parent or guardian supervision at the project site. Volunteers who are 16-18 years of age are only required to have a parent or guardian sign their Volunteer Agreement form.